As recreational-use legalization took hold, would medical dispensaries emphasize their identities as medical providers or downplay their medical orientation to compete directly for potential customers? We found that some clusters of dispensaries were more conservative in their marketing, continuing and even accentuating an organizational identity focused on therapy and patients. This was reflected in statements like: “We aim to educate our patients about cannabis treatments and other alternative health approaches to supplement their medicine.” Counties where the majority of voters voted against legalizing recreational marijuana tended to encourage this increasing focus on therapy. Dispensaries that embraced the new recreational market took more risk by advertising to a broader, emerging consumer class, which has been bolstered by a growing tourism industry. These dispensaries de-emphasized their medical orientation and focused more on themes such as product variety and prices. Dispensaries with this more recreational-oriented marketing tended to be in counties that voted in favor of legalizing recreational use. Overall, our research suggests local communities hold a great deal of power in affecting how dispensaries present themselves both to consumers and the broader population. MedicalResearch.com: What should clinicians and patients take away from your report? Response: In states that have legalized cannabis for adult recreational-use and sales, the law often gives local municipalities flexibility in deciding how easily dispensaries can operate within their boundaries. Many counties have chosen to ban cannabis-related businesses. Others are carefully regulating sales and businesses through zoning and taxes. Our research suggests that dispensaries are responsive to the level of concern raised by local community members about recreational-use cannabis. How dispensaries choose to market and present themselves will be shaped by their need to project a positive organizational identity and be accepted as legitimate members of the local community. MedicalResearch.com: What recommendations do you have for future research as a result of this study? Response: Many national polls indicate strong support for legalizing the use of cannabis for medical and, to a somewhat lesser degree, recreational uses. The progression of state-level legalization has been fast and is likely to continue in the coming years. The overall landscape in the United States is incredibly complex. Different states has enacted different types of state-level regulations, and different localities within each of these states also differ widely in the types of regulations enacted. Future research studying dynamics in different states is needed to better understand how this fast-growing industry will continue to evolve. MedicalResearch.com: Thank you for your contribution to the MedicalResearch.com community. Citation: Co-opt or co-exist? 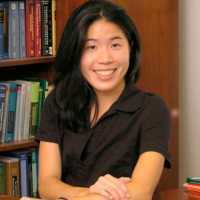 A study of medical cannabis dispensaries’ identity-based responses to recreational-use legalization in Colorado and Washington Greta Hsu* University of California, Davis Özgecan Koçak Emory University Balázs Kovács Yale University https://gsm.ucdavis.edu/sites/main/files/file-attachments/cannabis_os_final.pdf Note: Content is Not intended as medical advice. Please consult your health care provider regarding your specific medical condition and questions. Response: My co-authors, Ozgecan Kocak at Emory University and Balazs Kovacs at Yale University, and I became interested in the cannabis industry in early 2014, when Colorado and Washington states were in the early stages of licensing recreational cannabis operations. As organizational researchers, we were interested in how the emergence of the new legalized recreational-use dispensary stores would impact existing medical cannabis dispensaries that had already been in existence for years in both states. For decades, activists and many dispensaries had framed cannabis as medicine that relieves pain for patients suffering from a wide variety of illnesses. 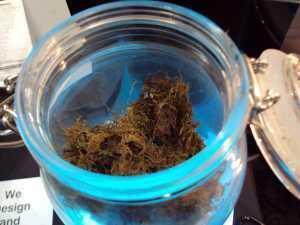 People who use marijuana for medical purposes do not always live near a dispensary, so accessing this product may be quite difficult for some than it would be for others. In and around where you live, you may be able to look into a local dispensary who would be able to administer the products you would need. For example, living in Florida, you’d look into something like florida dispensary to help you find your nearest dispensary. As long as you find a place that works for you, then that’s all that matters. We found that some clusters of dispensaries were more conservative in their marketing, continuing and even accentuating an organizational identity focused on therapy and patients. This was reflected in statements like: “We aim to educate our patients about cannabis treatments and other alternative health approaches to supplement their medicine.” Counties where the majority of voters voted against legalizing recreational marijuana tended to encourage this increasing focus on therapy. Dispensaries that embraced the new recreational market took more risk by advertising to a broader, emerging consumer class, which has been bolstered by a growing tourism industry. These dispensaries de-emphasized their medical orientation and focused more on themes such as product variety and prices. Dispensaries with this more recreational-oriented marketing tended to be in counties that voted in favor of legalizing recreational use. Overall, our research suggests local communities hold a great deal of power in affecting how dispensaries present themselves both to consumers and the broader population. Response: In states that have legalized cannabis for adult recreational-use and sales, the law often gives local municipalities flexibility in deciding how easily dispensaries can operate within their boundaries. Many counties have chosen to ban cannabis-related businesses. Others are carefully regulating sales and businesses through zoning and taxes. Our research suggests that dispensaries are responsive to the level of concern raised by local community members about recreational-use cannabis. How dispensaries choose to market and present themselves will be shaped by their need to project a positive organizational identity and be accepted as legitimate members of the local community. Response: Many national polls indicate strong support for legalizing the use of cannabis for medical and, to a somewhat lesser degree, recreational uses. The progression of state-level legalization has been fast and is likely to continue in the coming years. The overall landscape in the United States is incredibly complex. Different states has enacted different types of state-level regulations, and different localities within each of these states also differ widely in the types of regulations enacted. Future research studying dynamics in different states is needed to better understand how this fast-growing industry will continue to evolve. This entry was posted in Author Interviews, Cannabis and tagged cannabis, marijuana by Marie Benz MD FAAD. Bookmark the permalink.